Is there any company more synonymous with sub-ohm vaping than KangerTech? 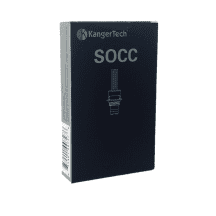 Ask any long-term vaper about things like the Kanger Subtank or Kanger SSOCC coils, and just wait for the nostalgic sigh that you’ll elicit. Sometimes it feels as though just about everyone’s first sub-ohm tank was the Kanger Subtank — and KangerTech’s influence goes far further than that. Who could forget the original Kanger Protank? It was one of the first vaping tanks ever with a glass enclosure and replaceable atomizer coils. Released back in the above-ohm vaping era, the Kanger Protank introduced thousands of people around the world to the convenience of tank-based vaping — and most people who vape still use tanks today. That’s how deep and long lasting KangerTech’s influence has been. 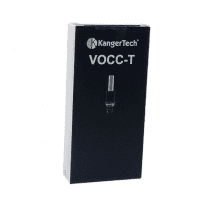 The vaping industry never stops its march of technological advancement, and KangerTech has kept pace. One thing that you can always count on with a KangerTech product is strong, reliable performance. You never hear Kanger users complaining about things like leaking tanks, dry hits or coils that don’t last long enough. 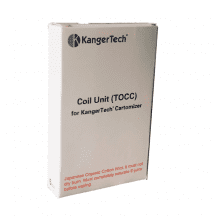 When you do need to buy replacement KangerTech coils, though, you can always find the best price right here because we never charge shipping fees for any retail order. We guarantee that our coils are always authentic and direct from the factory!